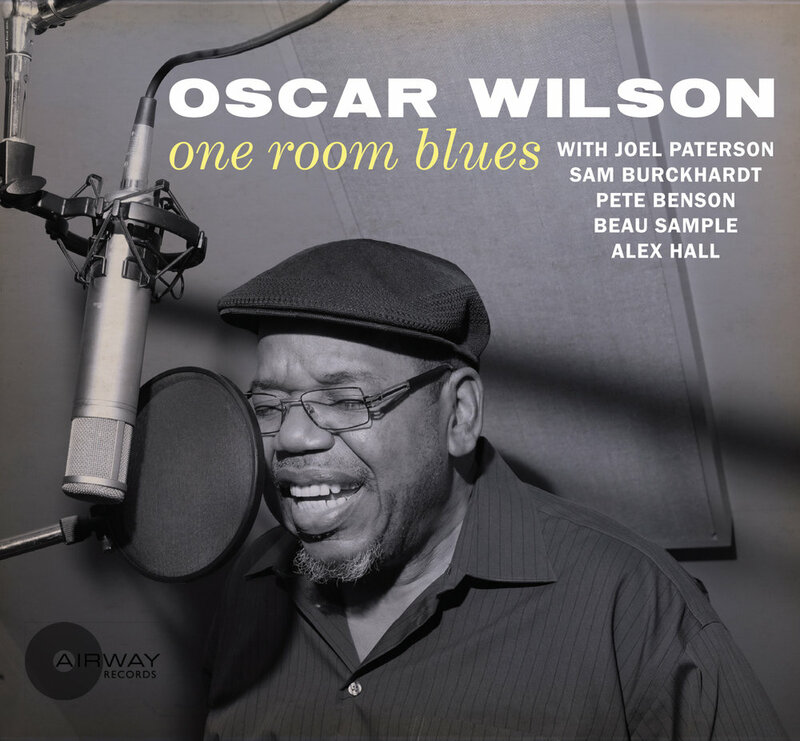 "One Room Blues" is a CD by Chicago legend, blues singer Oscar Wilson. I co-produced the disc with Sam Burckhardt, and for the recording we put together an all-star lineup of Chicago heavy-hitters including organist and pianist Pete Benson, bassist Beau Sample, and drummer Alex Hall. "One Room Blues" was recorded in two days, with no overdubs, with a great live sound captured by the expert engineering of Alex Hall at Reliable Recorders / Hi-Style Studio. The album shows off the versatility of Oscar Wilson, who displays his great range and expertise in a program of blues and r&b classics, paying tribute to his many influences, including B.B. King, Percy Mayfield, Bobby "Blue" Bland, Jimmy Reed, and Ray Charles. "One Room Blues" was released on Sam Burckhardt's label, Airway Records in 2017 (Airway is Sunnyland Slim's old record label; Sam played with Sunnyland for twenty years and is carrying on the name as a tribute to the legendary Chicago blues pianist). "One Room Blues" is available for download at most digital outlets, and the CD can be purchased at cdbaby.com. Sometimes great recordings happen for simple reasons. When Sam Burckhardt asked me to help him put a band together to play the 2017 Basel Blues festival, I thought it was an opportunity to form a dream lineup of Chicago musicians who, because of the realities of making a living playing the local clubs, can’t always afford to play together in one band. Sam is originally from Basel, but he has been on the Chicago blues and jazz scene for over thirty years. He’s been returning to Switzerland to play the fest every year for over a decade, and I’ve had the honor of joining him there a few times with various bands. The idea to record the album, “One Room Blues,” came from a need to have something to sell at the blues festival, but producing this project quickly turned into a true labor of love. It became a unique chance to put together—in one room— musicians who could play many different styles of traditional blues and R&B with great technique and real soul. 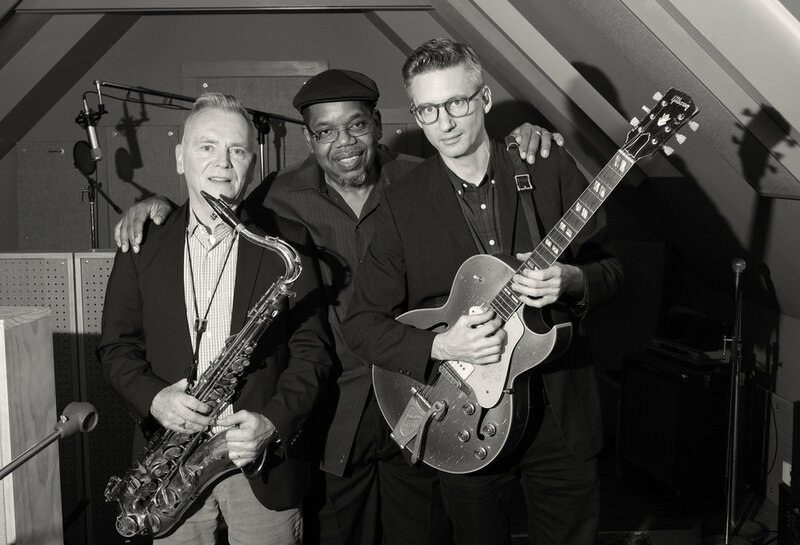 Saxophonist Sam Burckhardt, drummer and recording engineer Alex Hall, pianist and organist Pete Benson, and upright bassist Beau Sample, each bring a love and respect for blues, jazz, and American roots music that lets them authentically play these styles without just imitating them for the sake of a recording session. We had a short turnaround time and a small window of only two days to record, but the energy in the sessions was infectious, and with the great Oscar Wilson bringing out the best in the band, we put together a recording that I’m truly proud to be a part of. The album starts with the tune, “When I Was Young,” by Sunnyland Slim. Sam met the legendary Chicago blues pianist in 1975, and played with him for twenty years until Sunnyland’s death in 1995. Airway Records was originally Sunnyland’s label, and upon his death, Sam asked his widow if it was ok to continue Airway Records as a tribute. She agreed. It was a real treat to hear Oscar Wilson breathe new life into this blues classic, and this set the tone for a really fun session. About this album, Oscar Wilson said of the experience, “I want to thank Joel Paterson, Sam Burckhardt, and the guys for taking me in another direction, into some jazzy, bluesy type things, you know what I’m saying? Because I knew I could do it, and they gave me a chance to do it.” To me, this record is a testament to Oscar’s blues scholarship and versatility; he does a beautiful job of channeling his heroes (like Percy Mayfield, Jimmy Reed, B.B. King, Ray Charles, and Bobby Blue Bland) as well as adding his own inimitable wit and delivery without mere imitation. When I asked Oscar for album title suggestions, he mentioned “One Room Blues” in reference to the Mercy Dee Walton tune we recorded called “One Room Country Shack,” and to the fact we recorded in one room with no isolation or overdubs, at the wonderful studio, Reliable Recorders, run by Alex Hall. I think the name perfectly describes the mood of this intimate blues record, and I hope you enjoy it as much as I enjoyed being a part of it.